It’s actually long past time for harvesting my crop of organic potato onions; but I finally got around to it just before the recent rains saturated the garden’s raised beds. A previous article about potato onions provided detailed information on this unusual root crop, along with tips for growing them in the backyard garden. Today I wanted to share a few photos from this summer’s harvest of these unique onions. The leaves died back weeks ago leaving the onions ready for harvest, but they were forgiving enough to wait until I got around to harvesting them. A few had sprouted and begun sending up new growth, but the majority sat patiently waiting to be dug up. 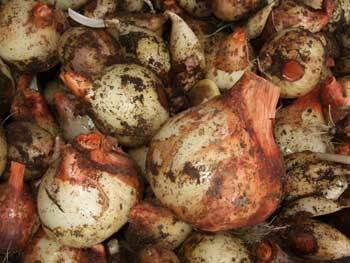 Harvesting was a breeze since these pungent bulbs don’t grow far beneath the soil’s surface. It’s still best to use a digging fork to carefully loosen the soil around the clusters of bulbs before lifting them from the garden. After harvesting I spread the potato onions in a single layer on a tray to allow them to dry and cure before storing them. This treatment will help prevent mold and rotting after the bulbs are tucked away for future use in the kitchen. The potato onions can be cured indoors in a spare room where they can be kept dry and maintained at your home’s normal room temperature. If you’re a longtime gardener who has never seen a potato onion don’t be embarrassed, they’re really not common and I’ve never seen one fo sale at any grocer or farmer’s market. That’s a shame because they really are tasty and just as easy to cultivate as when caring for gourmet garlic. The skins are copper colored and the potato onion bulbs resemble shallots, only much larger. Some of the potato onion bulbs will approach the size of regular onions, but if you compare the entire grouping, the potato onions are actually larger and may even produce better overall yields. 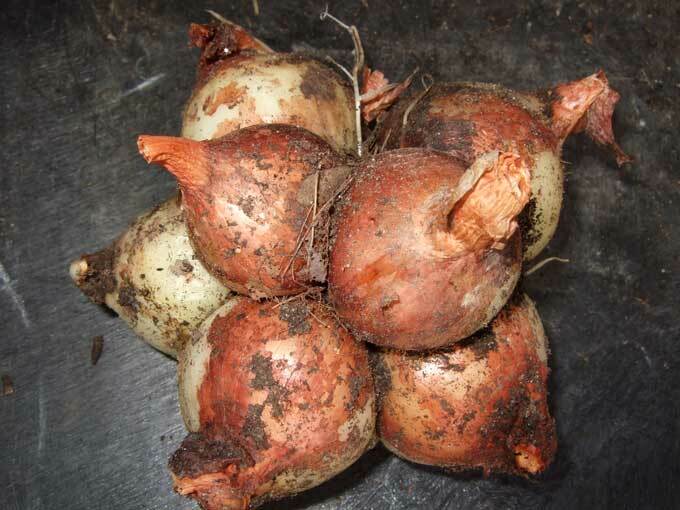 The similarity to shallot bulbs is due to the way that the potato onions grow into clusters of individual bulbs that are connected at their base where the root system is formed. 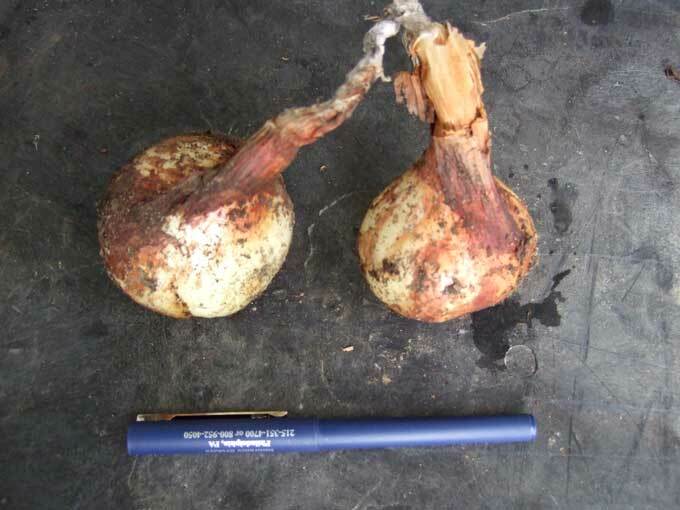 Each cluster will consist or variously sized bulbs, all of which are suitable for eating or replanting in the garden. Unlike garlic seed stock, where you want to use the largest bulbs as your seed crop, I prefer to replant various sizes of potato onions for next year’s harvest. I plant my potato onions in the fall at the same time or a little earlier as my fall grown garlic. You can plant potato onions and pretty much forget about them until harvest time (or as in my case, well past harvest time). I really enjoy the flavor of potato onions and cook them or include in recipes just as I would use regular yellow or red onion varieties. They are smaller and can be a little more tedious to peel and prepare for cooking. All in all, potato onions can do anything that the standard onion types can, and do it longer, as they hold up extremely well in storage. So there you have it; easier growing, great tasting, and long storage capabilities; that’s why potato onions are the only type of onion that I regularly plant in my garden these days. 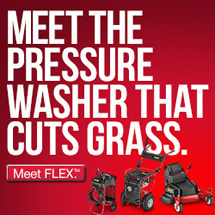 If you haven’t tried them in your own garden, then what’s holding you back. What’s keeping me from growing potato onions you ask? I can’t find them anywhere around here. Can you recommend a source for them? 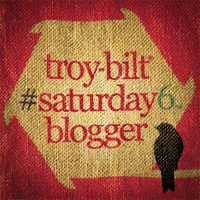 @ Kris: I found them last year at Southern Seed Exchange. They have several varieties even. They will be shipped in the fall for cool weather planting, even if you order in the spring (like I did). 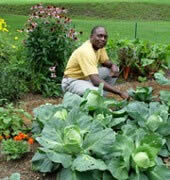 I find that the best potato onions for planting are the small ones, and the best for eating are the bigger ones. If planted in Edmonton, AB, the bigger ones often produce fewer new onions and at least one will go to seed. They keep at room temperature until well into the next Spring, but produce more when Fall planted. They can be well washed, then roasted in their skins, and squirted out of the skin to eat. They can be very finely chopped for special sauces and butters.. This is my first season growing potatoe onions (and garlic). I planted them in the fall and you are right…plant and forget! One question for you. Is it necessary to leave the clusters in tact when harvesting or is it ok to separate the bulbs at harvest time? Potato onions make the best pickled onions, because they are on the small side they pack into jars efficiently and they stay crisp for longer, thats if you can leave them alone!! !